There's a new set of renderings at the top in large format -- click or scroll all the way up. One of the main points of discussion surrounding this project has been the height of the buildings. The zoning for this spot caps buildings at 3.5 stories, and an early design used a mansard-style roof to fit that standard. But after getting feedback, the development team reworked the design to be 4 stories with a flat roof -- with a total height a few feet shorter than the original. But the 4-stories required a variance, which the city's Board of Zoning Appeals granted in November. The 4-story height became a main point of contention of critics of the project, specifically Common Council member Judy Doesschate, whose ward includes the site. She has argued on multiple occasions the height was out of scale with the surrounding neighborhood. 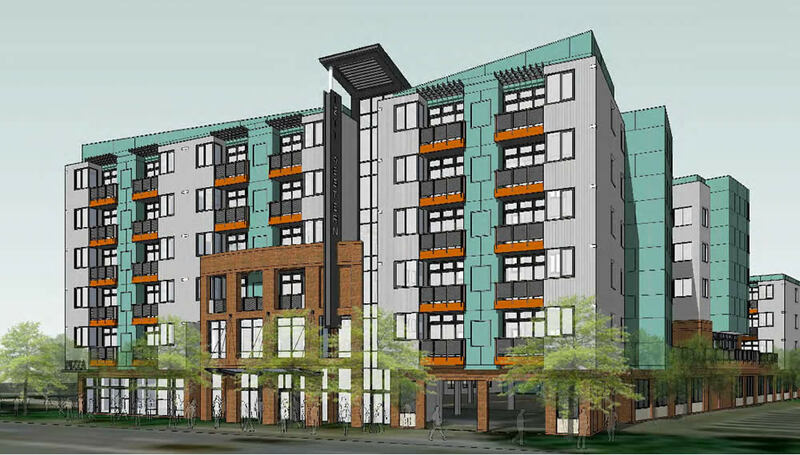 This project has appeared before the planning board multiple times, and Thursday's meeting included just a short recap of the project from the development team and very few questions from the board. So the meeting was mostly about public comments. There were 14 speakers -- two speaking on behalf of the Playdium owner, six in favor, five opposed, and one person who just seemed to have some questions. Garry DeGonza, the real estate broker representing Playdium owner Neil Luther, said Luther couldn't be at the meeting because of a series of strokes that had landed him in the hospital. And he said that efforts dating back a decade or more to find a new owner who would reuse the existing building had been unsuccessful. Other speakers said the new project would be an upgrade over the current state of the site and a new anchor for the neighborhood that could draw employees from nearby hospitals as residents as well as provide new customers for nearby neighborhood businesses. Those opposed included Judy Doeschatte and Owusu Anane, who recently succeed Golby as the council member representing the adjacent 10th ward. Anane said the project doesn't fit the character of the neighborhood, and worried the increased population density would strain infrastructure there. And, citing adjustments to the project during the review process, called for another public forum to gather public input. Other critics cited similar concerns. Jim O'Rourke, a nearby resident on Park Ave, criticized the design as looking "very industrial." And Bob Phaneuf, of South Lake Ave, said the Playdium is a community resource and shouldn't be torn down. 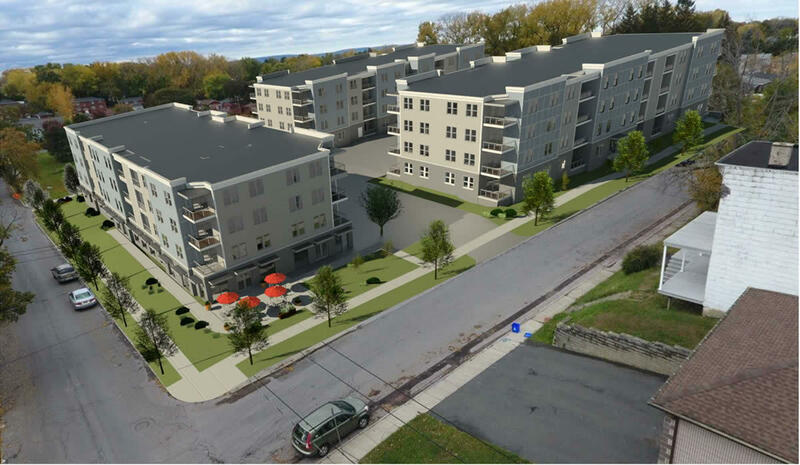 Some of the disagreement over this project -- and a few of the other large residential projects proposed around the city right now -- is about a difference in perspective about what Albany's neighborhoods should be like, and what people want. Ryan Jankow, the developer of the Playdium site project, said after Thursday's vote that the Pine Hills neighborhood is what drew them to the site. "It's really a fantastic area as far as the location. You're in the heart of Albany. It's very walkable. You're close to hospitals, you're close to schools and colleges, tons of restaurants, local businesses," he said. "As a couple of people addressed here, the Millenials and younger generations are looking for maintenance-free housing that offers lots of amenities. Some aren't in a position to put a downpayment toward a house, and it gives them a great opportunity to experience the neighborhood. ... Also, the empty nesters as far as maintenance-free living, walkability, indoor parking, storage, community space." But this sort of project does represent a change for the neighborhood. And Judy Doesschate said Thursday it's too much of a shift. "There's a general recognition that three stories is OK. That is a lot more dense than most of the housing in the areas the developers are targeting right now, areas that otherwise there are a lot of single-family homes and two-family homes and smaller apartment complexes," Doesschate said when we asked about the broader picture of development in the city right now, before turning back to the Playdium project. "This is going to dramatically change that neighborhood and the question is whether homeowners will want to continue living in that area after this is built." "I think a lot of it is people are always afraid of change. I can understand that a lot of these opposition members have lived here their entire life and they don't feel this is going to fit in with their neighborhood. But on the contrary, there's going to be a lot of good that comes from with this -- you're going to be bringing people back to Albany, into a neighborhood where people want to live. And I think some people sometimes can't visualize the end product. They're saying height, they're saying color, they're saying density. We've done this multiple times. We have studies and we look at demographics and traffic patterns to figure out if this project fits and obviously we think it does." As mentioned above, Jankow said construction could start this spring if they're able to work out the package soon with the IDA. He said the property is under contract and they'll move ahead with closing once everything's in place. After that, he said construction would likely take 18-24 months for the whole project. 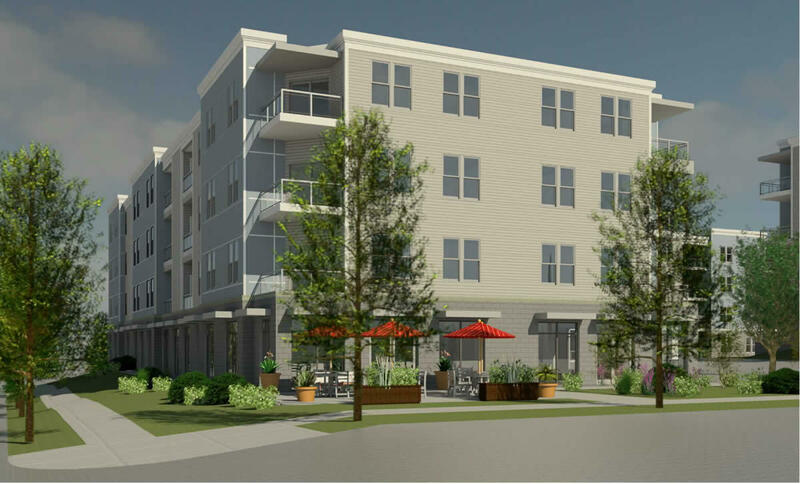 The project was the subject of many critical public comments when it was before the board in November, many of the criticizing its size and what they believed would be its impact on nearby residential areas. So it will be interesting to watch how the developers adjust the project when/if it comes back up. I didn't realize 4 stories was considered tall. "Anane said the project doesn't fit the character of the neighborhood, and worried the increased population density would strain infrastructure there. And, citing adjustments to the project during the review process, called for another public forum to gather public input." The site as it exists now is 75,000 Sq ft., completely impervious, and has zero stormwater controls. At current, the site drains nearly 100% of storm flow into the combined sewer with no retention or detention. The new development is required to hold back 50% stormwater to the pre-development condition, and they went above and beyond this by adding detention and porous pavement. The stormwater reduction was so comprehensive that the development would have qualified for an extra story as of right if not for the <100ft. distance to an R zone. The Water Dept. signed off that there's more than adequate pressure to support this new use. I was also zoned mixed use neighborhood commercial under Rezone - which is a land use unique to the immediate area. Here are some other properties that may not fit the "character of the neighborhood" because of their height. •	38 S. Main St.
We live in a city. A CITY. Represent your constituents and do your homework next time. Thankfully we have independent bodies like the Planning Board with members that have a formal education and careers in planning a community development - people that review a project on it's merits and not political hyperbole. I'm also thankful that Pinehills has a strong and very engaged neighborhood association that will welcome new residents. Imagine, 4 story buildings IN A CITY! What were they thinking!? Henry Hudson must be rolling in is grave! This building won't add anything to the tax coffers in Albany! THEY ARE GETTING TAX BREAKS, just like the state offices, churches, schools , and hospitals get! What is wrong with the planning board? Maybe some got kick backs???? I could see if it was going to contribute to the school & property tax, but this is so ABSURD! You are mistaken, MG. Read the news articles and talk to officials or go to the IDA meetings. (They are public) The developers will pay the same in taxes as the Playdium pays in year one. In year two, the taxes will double. And then every year after that the taxes paid will keep increasing until full taxes are paid based on the assessed value. And I take serious exception to your totally unfounded assumption about kickbacks. This is a volunteer board that studies and reviews projects and does so on the members' own time. Why are you impinging their integrity? Scroll up and read DaleyPlanet's comments. My comment on Stormwater seems to have been cut off by the attempt to use a greater than symbol... if not for the less than 100 ft. from a residential zone. Editors: The less-than sign should be fixed now. This project contributes nothing at all to the community, the numbers used to justify variances and 20 years of tax breaks are skewed to the point they should be meaningless. What is the vacancy rate in the new overpriced apartments by Albany Med, or the new building by St Peters? The rental market is flooded in the area, and there are at least 3 large projects being proposed. If the numbers don't work without a 20 year exemption from taxes then guess what, the numbers don't work. Change something about the project, everyone else here has to pay taxes. This will strain the infrastructure, schools, police, fire and add absolutely nothing but some transients to the community. The project owners will let the property degrade for 20 years then walk away and (probably) take another tax break by turning the building into government housing (which won't pay taxes either). Yes the site needs to be developed or re purposed, but this process is criminally dishonest and there is no reason at all the developers shouldn't at the very least be contributing in taxes at the same level as other homeowners / landlords in the area. @Mg: They will be paying a PILOT that amounts to double what the current property contributes the first year. The amount increases every year, and by year 20, it'll completely be on the tax rolls at 100 percent. The apartments mean added population which will be good for businesses on Madison Ave. Properties on Madison, then, have the potential to be worth more, and that equals more tax revenue. One of the negative comments at the meeting came from landlord who owned nearby properties. He didn't like the height of the buildings. Come on. Albany is already a hodgepodge. We have three-story buildings on Quail next to brick ranch homes. Plus the landlord was from Averil Park. He didn't even live in Albany! This is a city, not a rural outpost. My name is BoB Phaneuf and I am opposed to the proposed Playdium Project that I believe will have negatives impacts to the surrounding neighborhood and it’s people (stakeholders, residents and businesses). It is difficult to realize the impact this project will have without a project summary that includes the concerns and needs of this struggling neighborhood. A PILOT analysis by the IDA should not put the interest of the developer over that of the tax paying residents and business surrounding this project. 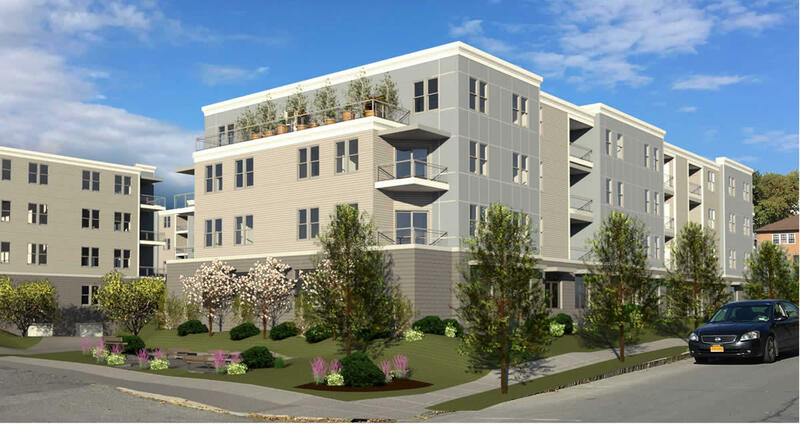 A cost benefit analysis might consider a $7,73 Million tax break for this apartment rental business good for the developer and Albany’s future tax base. However, the short and long term costs to the neighborhood residents and businesses should be of the greatest concern. For property owners, taxes will continue to increase and this new apartment complex will reap many the financial benefits. The PILOT exemptions for this project include school and library taxes, city and county taxes, sales (8%) and use taxes, mortgage recording taxes, real estate transfer taxes … for a 10 to 20 year term. To my knowledge none of the residents in this community have ever received tax breaks over the last 100 years. There are few benefits to this neighborhood from this project. This project does NOT enjoy the support of people living in the neighborhood !!! Destroys a historic building and community treasure that has served albany residents and their families since 1940… and still does. Will have a negative impact! Let’s not lose this community treasure to another tax privileged apartment complex. I hope the IDA can find another project to support with our tax dollars, one that can provide as much fun and joy and service as the Playdium complex has for the last 78 years. @MG... you should research what a PILOT actually is. They’ll never pay less in taxes than what is currently being generated by the existing parcel. In fact, as time goes on they’ll be contributing far more in taxes than is currently contributed by that site. The Playdium site looks great. Something to spruce up a decaying neighborhood. Move on. It's not like the project would destroy an historic building. Good job to the Albany Planning Board for not giving into the ill-informed NIMBYs. While it would have been nice to keep a bowling alley within walking distance of so many residents, this is a huge improvement in the use of this parcel and will, in time, be a great benefit to the very neighbors who opposed it. It's deceptive to just say the developers "will pay double what is currently paid in taxes". The size, scope, impact and purpose of a bowling alley versus a multiple building complex with over 100 apartments couldn't be more different, whatever the Playdium pays now is irrelevant. They are asking for millions of dollars in tax breaks however you want to calculate it. Maybe if the city didn't keep giving unnecessary tax breaks to large private corporations the mayor wouldn't have to go groveling to the Gov. every year to get enough cash for the city to function. Let me respectfully disagree with many of your reasons for being opposed to this project. - please see posts by corky and PK. Seems to me that the city will be getting more tax revenue from this site than they currently do (except for the first year). How is this not an improvement? "Is too tall, too dense, too close to street, with too many apartments for the acreage"
- You do understand you live in a city right? This is exactly the direction that Albany needs to move in. If you want a suburban neighborhood, there are plenty of them surrounding Albany. "Will stress sewer/water and road infrastructure creating more flooding problems"
- I don't completely disagree with your concerns about more traffic, but the land will be changed from a giant parking lot to a much more permeable landscape. In theory, it should put less stress on the sewer system. "Design does not fit the architectural character of the neighborhood"
- Last I checked, the Park Row Apartments were directly across the street from this site. These seem to fit right in with those. The surrounding streets are comprised mostly of aging multi-family homes that haven't been renovated/maintained in years. "Let’s not lose this community treasure to another tax privileged apartment complex"
- Don't get me wrong, I love the Playdium as much as the next person, but from my understanding it would close whether this plan was approved or not. The owner has been looking for a buyer for years, with no success. Do you intend to buy the Playdium and keep it open? Maybe if we had large corporations here employing people besides government, state schools and healthcare(GOVT) we could create some wealth to tax! BS: Completely agree, but with the way that corporations keep consolidating and merging, mid-sized metro areas can't expect to be seeing any of that coming. Everything is consolidating to New York, Boston, San Francisco, Washington. It's the nature of corporate-managed markets that is our economy. A) let a vacant blowing alley rot and neighbors, like me, suffer though a 75,000 sq ft. eye sore. If I were the owner I'd challege my assessment fast because if it's no longer a bowling alley and the only debv't plan in 15 years wasn't possible you better believe I'd be cutting my liability at least in half. B) Take some risk. The site is developed and welcomes at least 110 more people into the neighborhood. people that will shop on madison, ontario, and new scotland. people that might otherwise choose to live outside my neighborhood and would not see that we are a place to put down roots. Yes, assuming in 5 years the exact same development was able to come in and say, get 50% more per sq. ft. for rent, reduce their construction costs by a ton, not do any of the stormwater & sidewalk & mixed use, & off street parking everyone wants - maybe then they might not need a tax break. That would be still be five years of a vacant bowling alley and lost tax revenue to net out. The risk? Net new tax revenue of $200k per year over 20 years. And a beacon for PH - come invest here. Buildings and a land use that contributes to the flood abatement instead of contributing to flooding. The tax break has little to do with the developer - it has to do with the development. Do the numbers work? That's the question. That "opportunity cost" does not factor if nothing happens. I'm willing to make the investment now. Corky what do you cal the tax breaks this project is seeking? If they built it WITHOUT THE TAX BREAKS I WOULD BE TOTALLY FOR IT! Something is ROTTEN IN DENMARK!!!! I'll be sad to see the Playdium go. My son will be more sad to see the Playdium go. It's pretty rare to have a bowling alley walking distance from home. But, as others have noted, it's going to close one way or another (check out the great piece that AOA linked to last month: https://friendsofalbanyhistory.wordpress.com/tag/playdium/). I just wish the new housing was more diverse. A mix of townhouses - for sale - with the rental apartments, would help bring in residents more likely to have long term vested interest in the neighborhood, and create a product that's unique to the area (I can't think of any new construction housing for sale in the City of Albany - can anyone else? ).